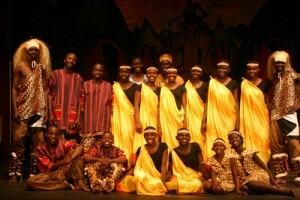 For three weeks in October and November, 2005, gifted 10 – 18 year old Ugandan singers, dancers, and musicians performed Kakokolo, the spellbinding tribal tale from their home in East Africa. By popular demand, we are bringing the troupe back to the Tri-State area in the Fall of 2008. The young performers’ colorful costumes, beautiful voices and vibrant dancing transport audiences to the traditional homelands of Uganda, a land rich in culture and spirit. 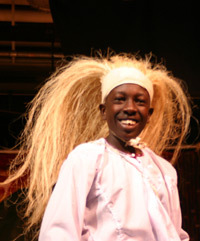 The performers, led by master choreographer and teacher Frank Katoola, all are students at Tender Talents Magnet School near the capital city of Kampala. In addition to performing, the Ugandans give dance and drumming workshops and/or visit classrooms at every venue.